← BLUEBIRDS FLEDGED FROM TEST TWO-HOLE MANSION-JULY 2011! 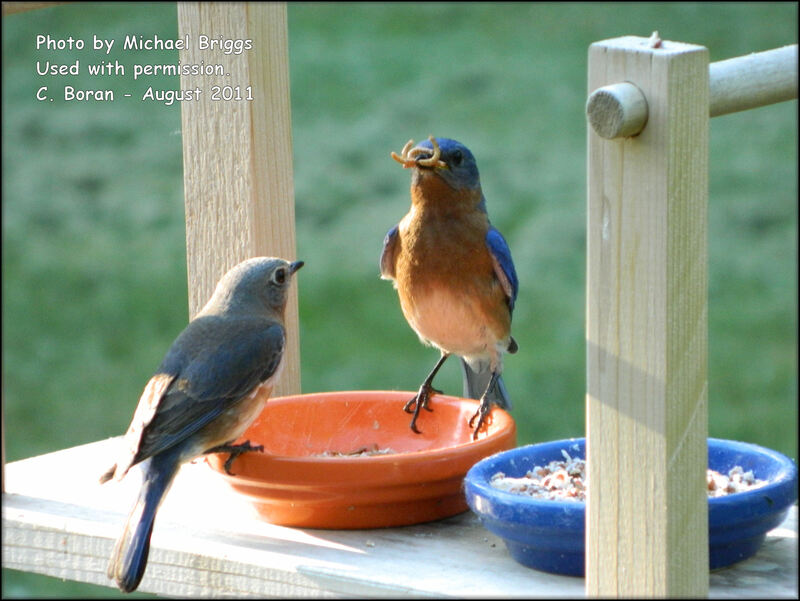 CUTE PHOTOS OF A BLUEBIRD FAMILY EATING TOGETHER….SHARED BY A SUBSCRIBER. 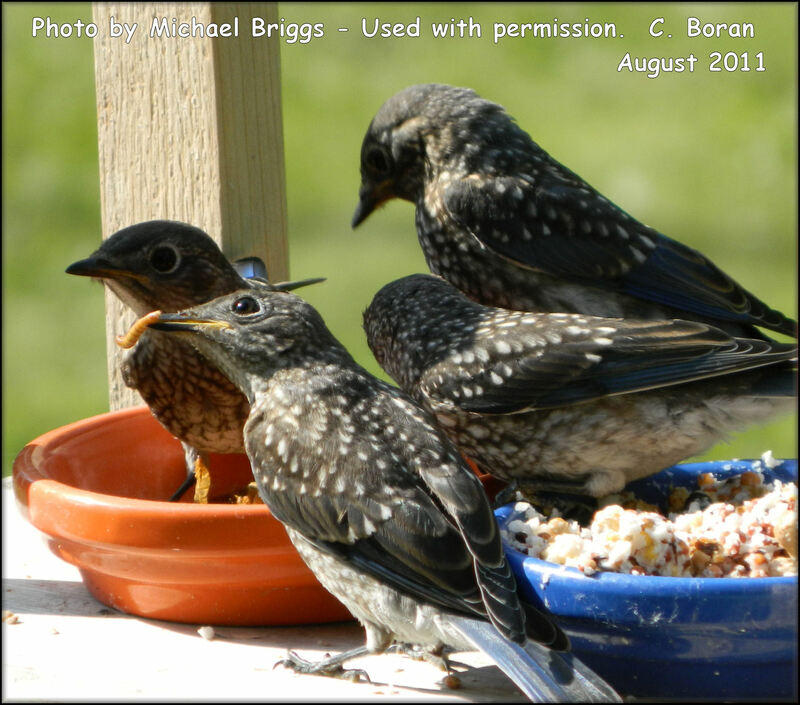 I send thanks to Mr. Briggs, who is a subscriber to this site, for sharing these two wonderful photos with me of a bluebird family at a feeding station containing mealworms and……..what looks like……..a special suet mix just for bluebirds. These are good closeups of the those adorable, spotted bluebird kids and their parents, named Baxter and Bella. Enjoy! Great Photos….Went to our place in Roberts Cove, LA and cleaned out our boxes. They are ready for next spring!